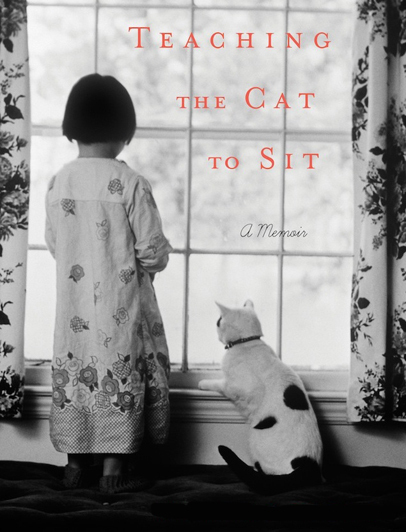 This week I talked with writer Michelle Theall about her memoir Teaching the Cat to Sit, which recounts her experience growing up gay and Catholic in the Texas Bible Belt and her quest, years later, to keep her 4-year-old adopted son from being expelled from Sacred Heart of Jesus School because of her sexuality. Dealing with religion and faith continues to challenge the LGBT community, especially when it comes to marriage equality. When her son's Colorado Catholic school expelled all children of gay parents, Theall found herself wrestling with long-buried shame in order to stand up for her son. The result was a public battle with the church, and a private one with her parents, that challenged everything she knew about family and faith. It was in this process that Theall realized that in order to be a good mother, she might have to be a bad daughter and risk losing her parents for good. I speak at LGBTQ events, and at churches too. I think that a lot of the divide happens at the ostracization and kids being torn away by their families, and all this kind of thing stems from religion and religious beliefs. That divide between gay and Christians is at the heart of what remains, in terms of our fight. I feel I'm a bit of an oxymoron to a lot of people, because I'm a gay Christian, and I'll go and talk about my faith and my partner to show that the two are not incongruous and hopefully start mending that divide rather than make it bigger. The other issue that is important for me and our rights would be adoption, and gay adoption in particular. The fact that other married couples can adopt children ... from foster care or other places and not have to go through extra hoops to be both parents on the adoption certificate and that sort of thing, I can't do that. My partner and I have to go through extra lawyers and all different other things because we can't marry in the state we live in, which is Colorado. Michelle Theall is an award-winning health, fitness and travel writer and the founder of Women's Adventure magazine. Her feature essay in 5280, the inspiration for her memoir, was nominated for a GLAAD Media Award. Theall is also the editor-in-chief of Alaska Magazine. She lives with her partner, their son, and their three dogs in Boulder, Colorado. For more information on Michelle Theall, visit michelletheall.com.